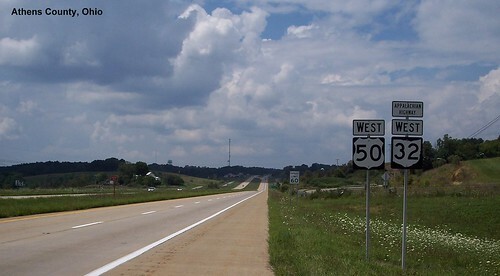 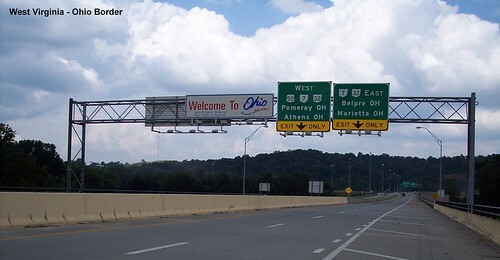 Entering Ohio on westbound US 50. 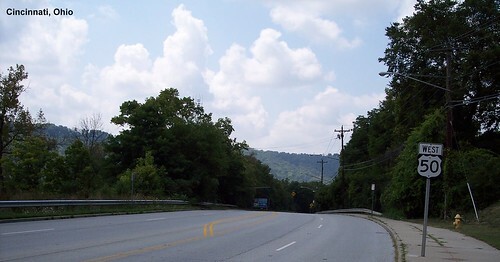 On the Appalachian Highway for a stretch. 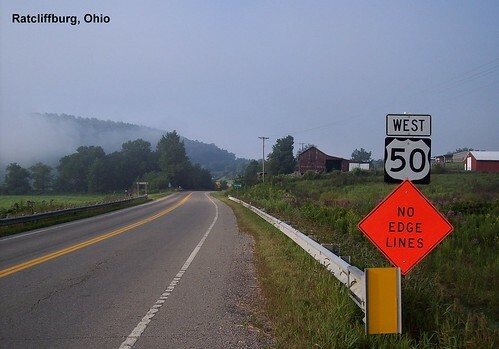 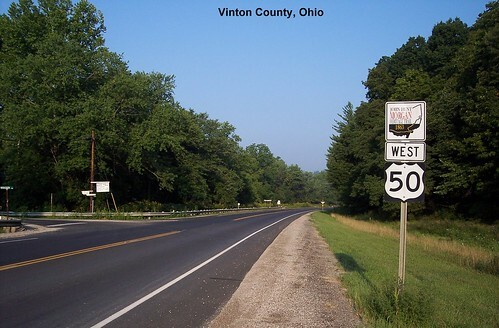 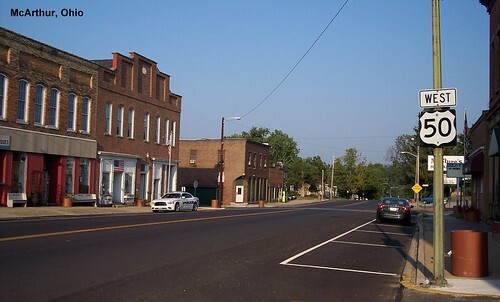 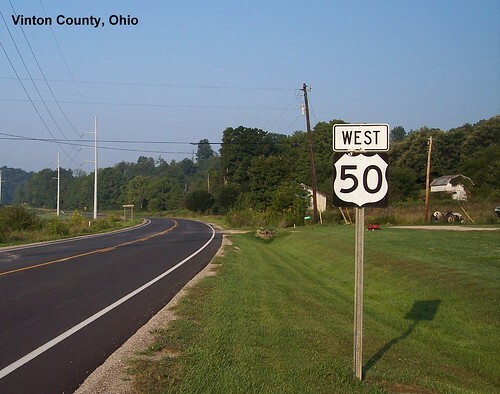 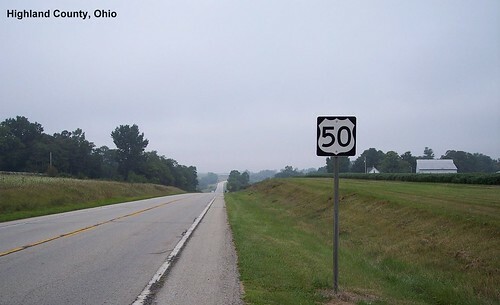 US 50 returns to being a two-lane rural road. 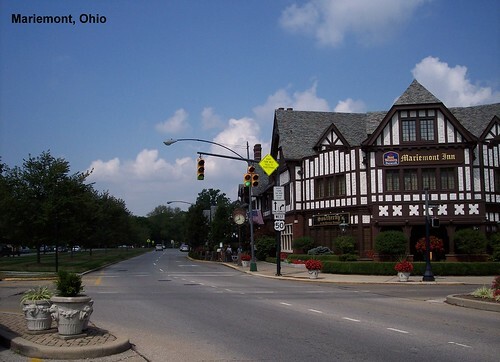 Stopped here for a picture, and realized we had parked in front of Graeter's ice cream, so stopped in for a pre-lunch snack. 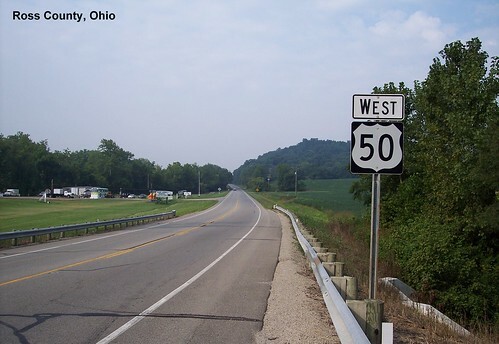 Finding places to stop and take photographs of US 50 in Cincinnati was very tricky.